This amazing Multivan has it all! Equipped with the factory satellite navigation system you can now go on those amazing family getaways without worrying about Dad getting you lost again! With the incredibly handy multi-function table in the back you can turn the Multivan into a party on wheels! Rotate the middle row of seats to face the back, set the table up in the middle and you have one hell off an awesome roadtrip! Truly a very versatile vehicle the Multivan is a perfect addition to any family. Send us an enquiry NOW to find out how to add it to yours. 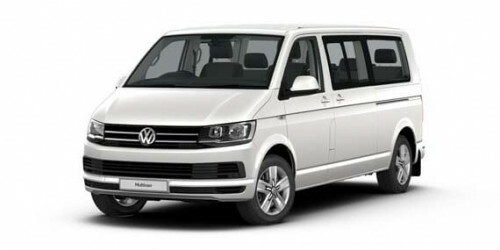 I'm interested in a Demo 2019 Volkswagen Multivan Comfortline (stock #VW3054).